Want a cheap web service to develop a business card and stationary package? Keep looking. Although we are sensitive to your budget, we want clients that demand quality work – clients who want an original solution created just for them. 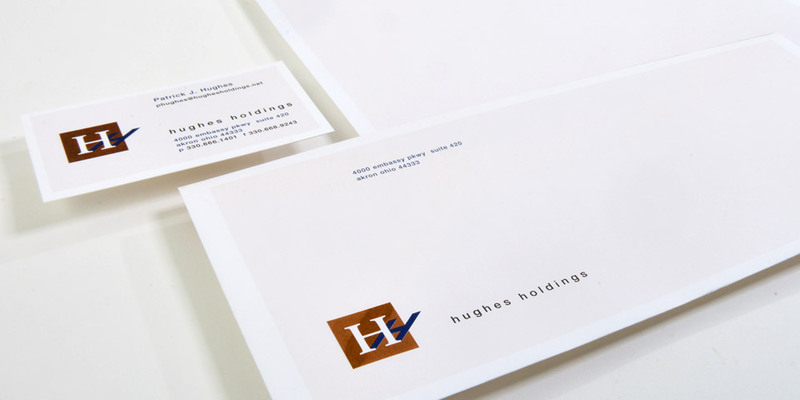 Hughes Holdings came to us with a modest budget. After considering a number of options, we gave them a solution that was crisp, professional and most importantly, unique to them. At Boom Creative, we know that you have lots of choices for business card design, and that there are lots of web sites that print letterhead. We also know that you want quality. You want service. You want a company that is committed to your success-not just interested in a quick sale.